It’s been such a busy past few weeks!! Rob & I moved into a townhouse, I went to Disney to celebrate a friend’s 30th birthday, and I’ve been busy organizing and setting up our new place, all while lesson planning and tutoring. Humph. 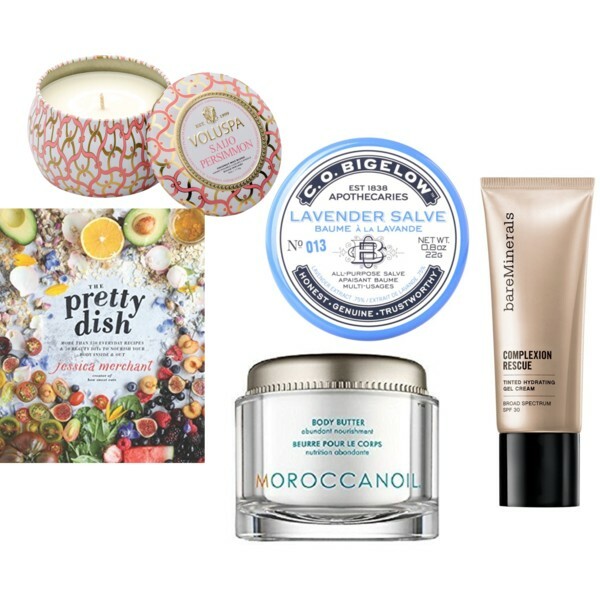 Anyway, I’m back today to share a new edition of Thursday’s Fab Five, with some favorite things I’ve been loving a lot lately. I love a good BB Cream…or CC Cream…or tinted moisturizer. They are the easiest products to apply, delivering coverage but still leaving you to feel light and not like you’re wearing a face full of makeup. 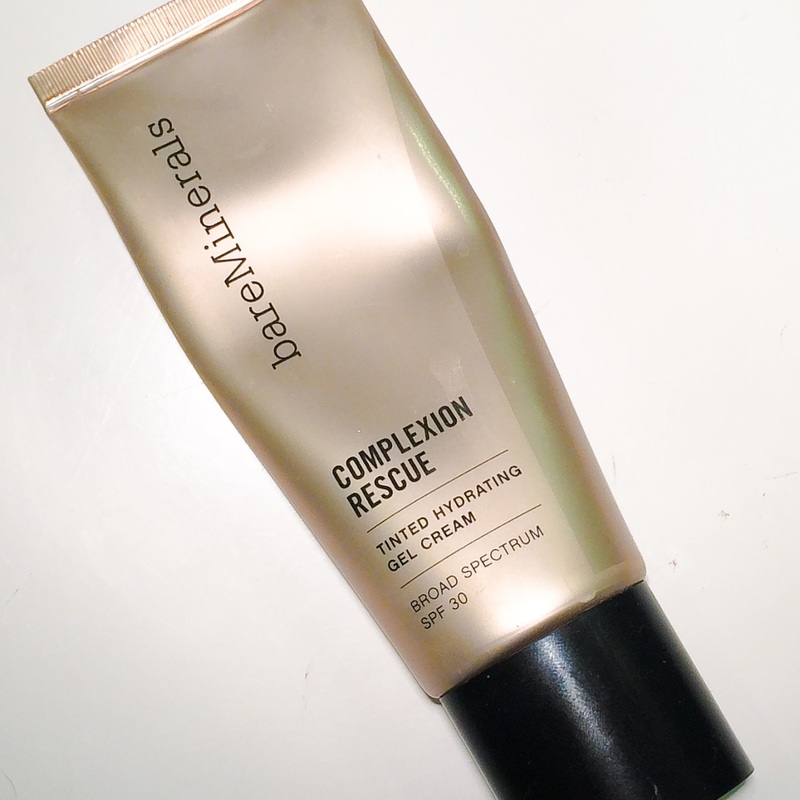 When bareMinerals debuted the Complexion Rescue Tinted Hydrating Gel Cream, I bought it instantly. I didn’t have any products resembling a gel cream and I found it intriguing, so of course, I ran to Sephora and picked up my color match, Vanilla 02. This is my typical weekend base, it’s so easy to apply whether you use a beauty sponge, foundation brush, or just your fingertips. Personally, I find applying with my fingers works the best. The lightweight coverage is perfect for when you’re running errands, and I can build it just a tiny bit on areas of my face that need more coverage. It’s especially been my favorite this winter, as it works to hydrate skin with coconut ingredients and marine botanicals, and give a dewy look after applied. 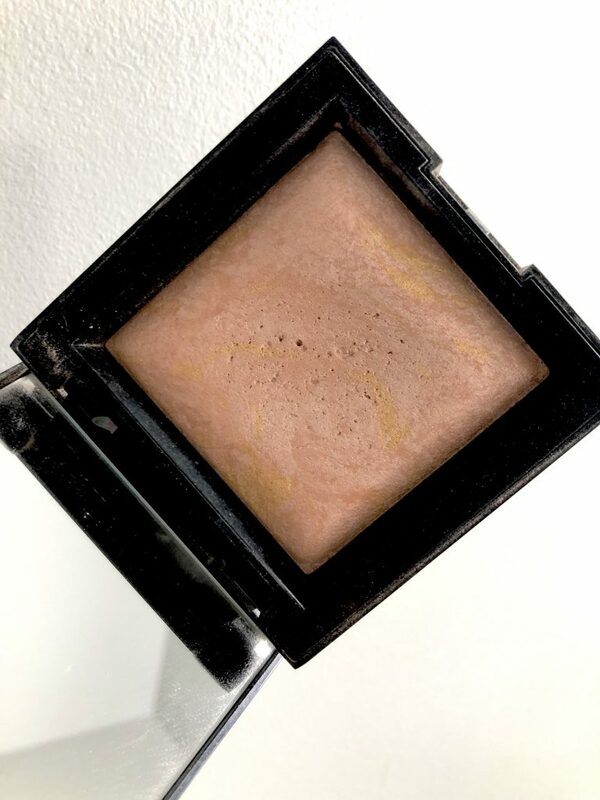 If you’re looking for real coverage, this product might not be for you- it’s pretty sheer and can be built up a little bit, but not enough as if it were a real foundation. As an Allure Best of Beauty winner, I have to say hats off to bareMinerals with this product, it’s definitely made it’s way to my favorite products and is now a staple in my makeup bag. I’m always trying new foundations, especially when it comes to liquid foundation. I’m a diehard Laura Mercier Mineral Powder SPF 15 fan, but I still like to have a trusty liquid option at hand. I just recently finished a bottle of the fan favorite bareSkin Pure Brightening Serum Foundation in Bare Ivory 04. When I purchased this product I also purchased the accompanying bareSkin Perfecting Face Brush. At first I had mixed feelings on the bareSkin foundation, I thought it made me just a little too dewy. My mom & my best friend also have this product, and they kind of felt the same way. I remedied this problem by making sure I used my MAC Prep + Prime Transparent Finishing Powder, once I did that I looked nice & matte. I really liked how easy it was to blend and apply the foundation, the color matched me well, and it’s super lightweight. One downside I found was that the bareSkin foundation didn’t offer a whole lot of coverage, so I really only used this as a foundation on days when I had no blemishes or extra redness. If you’re looking for a heavier coverage I’d try looking for something different. If you’re looking for a more lightweight formula that will deliver a super glow-y and dewy finish (especially if you have dry skin) then bareSkin is definitely for you. As far as the bareSkin Perfecting Brush goes, I really like it, but I don’t think it’s necessary at all for the use of the foundation. The foundation is released like a dropper, and you’re supposed to drop two droplets into the top of the brush. bareMinerals says that’s the only amount of foundation you’ll need, but I found I always needed just a tiny bit more. I guess it’s more of a personal preference choice for amount of coverage, but just keep in mind that the foundation is thin, and coverage may be minimal. *Affiliate links used in this posting.